Analisa and Peter needed an invitation as beautiful as them...and as adorable as their church! 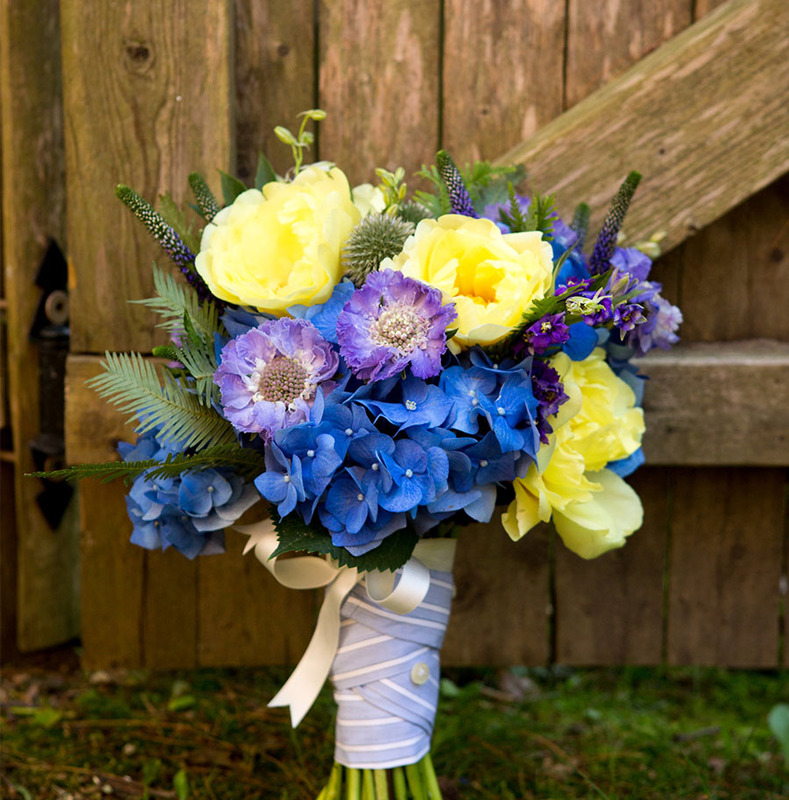 They wed in June in the First Presbyterian Church of Amagansett, a mouthful and perfectly imperfect yellow shingled number with blue trim, a missing spire, and a whale weather vane! We included a hand drawn rendering of the church on the back of the reply card as the centerpiece to the invitation. 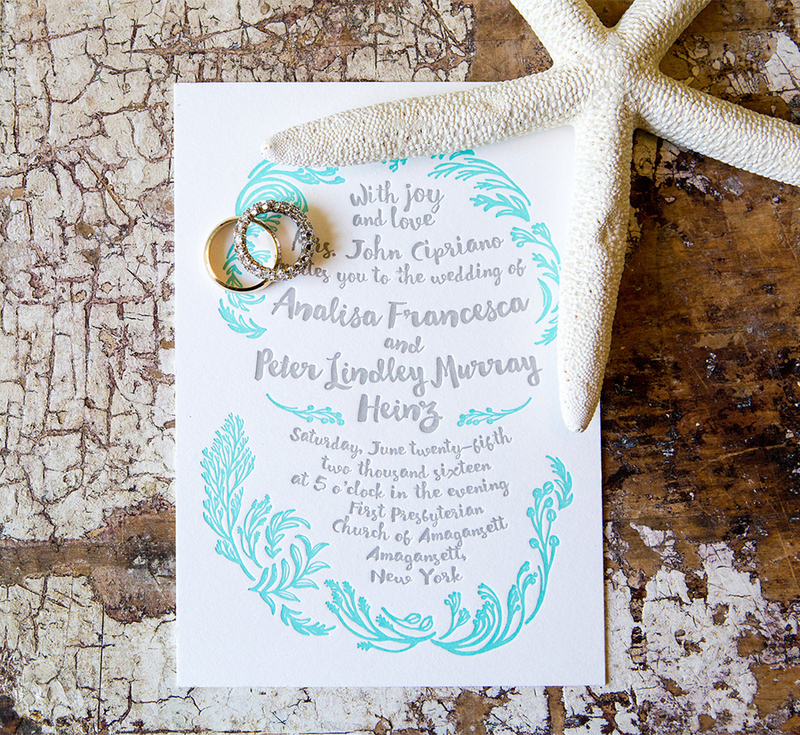 The cards featured a two color letterpress design with whimsical hand drawn type flanked by lush sea flora. The palette of greens, blues, and yellow, with tiny pops of peach and pink is a celebration of summer by the sea. Can't you just smell the salt air and...rose´? 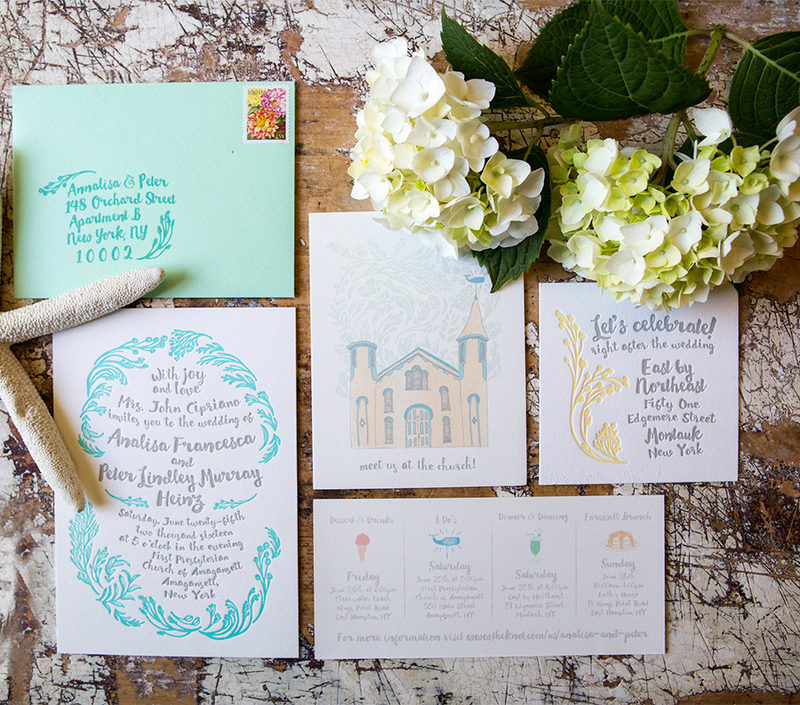 The two color letterpress invitation suite with hand drawn elements and event iconography. The ceremony program also featured this special little church! We LOVE a couple who names their tables instead of numbering them. Ana and Peter named their tables for sea creatures! We love an understated menu. With the low light and all that goes on your tables, your menu should be mostly neutral and easy to read. As a take away, Ana and Peter had a candy bar where guests could pick and choose and fill up Chinese food containers!